During a trip to a summer camp, an earthquake envelops them all and they are in the realm known as the Digital World. 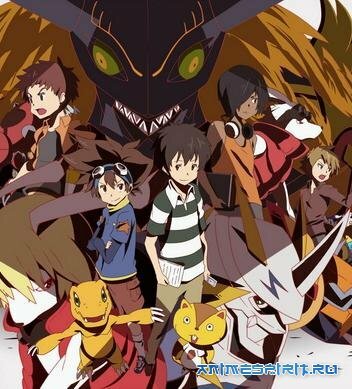 They meet unusual creatures, Digimon (Digital Monster). This substance (some friendly, others not), having different extraordinary ability and which are capable of development (converted) into a more powerful form. They immediately provide support to children, becoming their partners and helping them survive the many dangers of the digital world. However, soon the children will learn that the world in which they found themselves, not a game. Digital world threatened by a great evil, and children learn about their true destiny as favorites for the salvation of the world. To do this, they need to realize their true potential each.